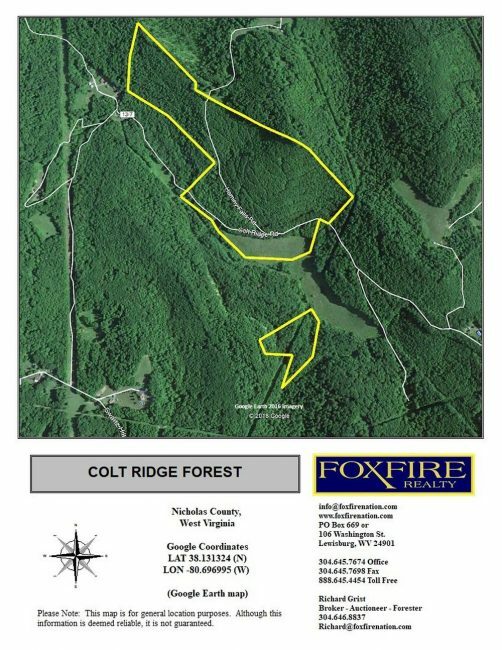 96 acre Colt Ridge Forest is a versatile recreation and timber investment property with numerous cabins or home sites. 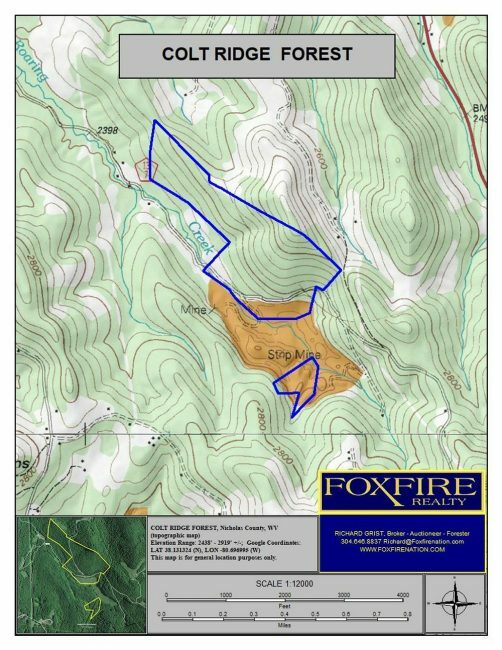 Address: Roaring Run Road RT 13/7 near the community of Hominy Falls, Leivasy, WV 26676; No 911 address is assigned to property without structures. 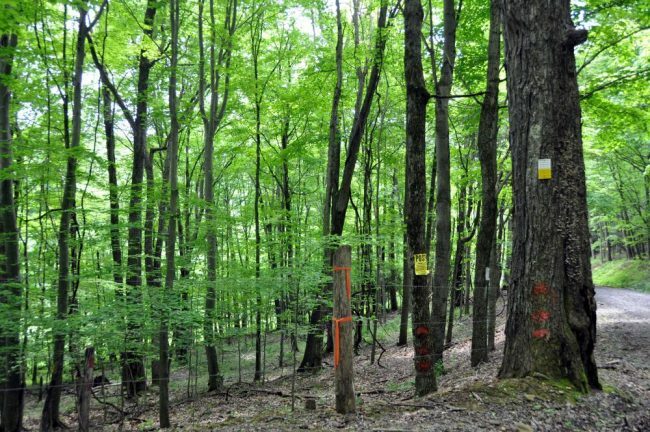 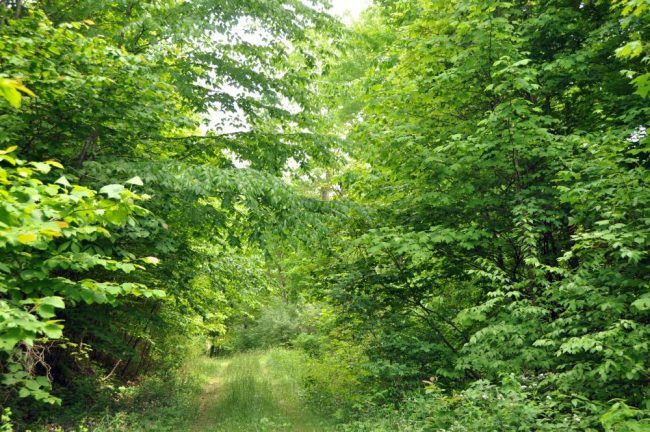 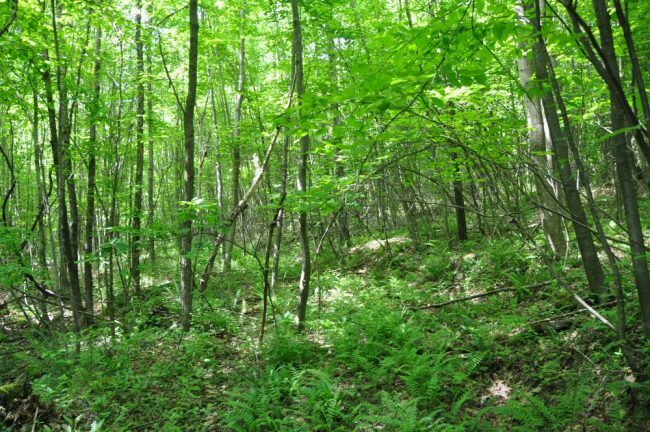 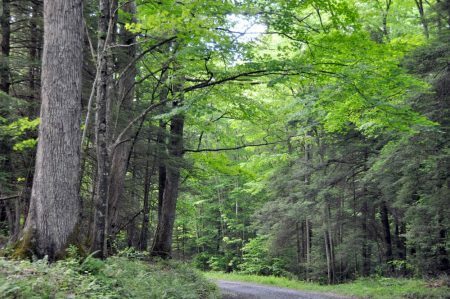 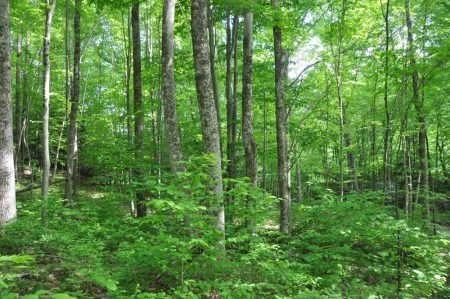 The property has various ages of forestland, from areas of fairly recent harvest to full canopy stands. 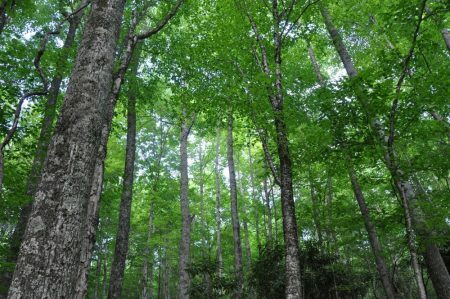 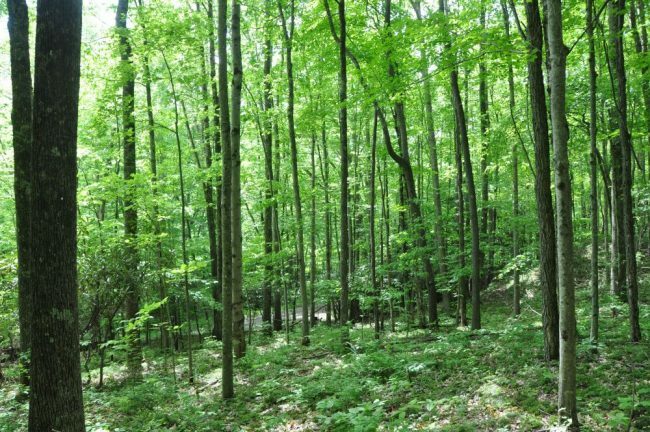 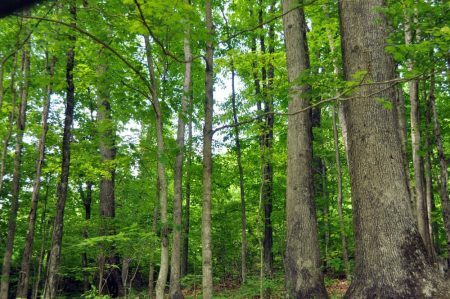 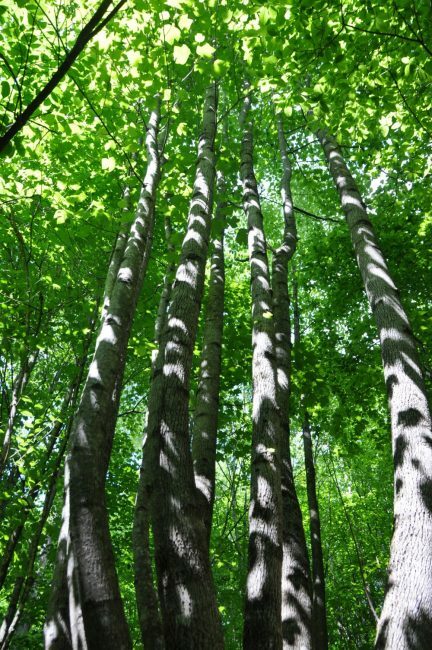 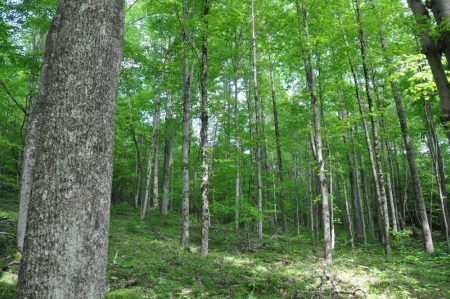 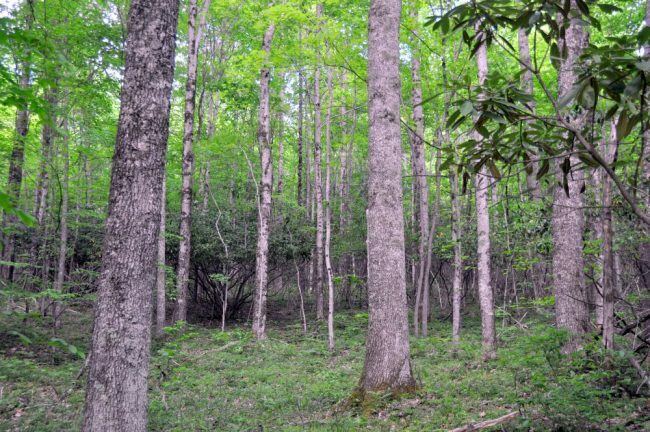 The distinguishing features of the Colt Ridge Forest timber resource is its unusually high hardwood pre-commercial and pole stocking with a solid basal area per acre. 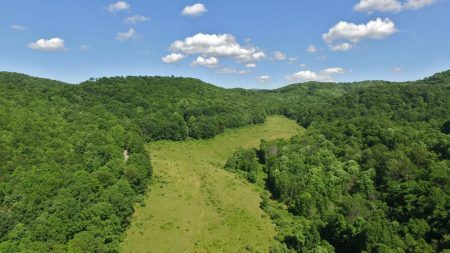 This stocking is well above average for the region. 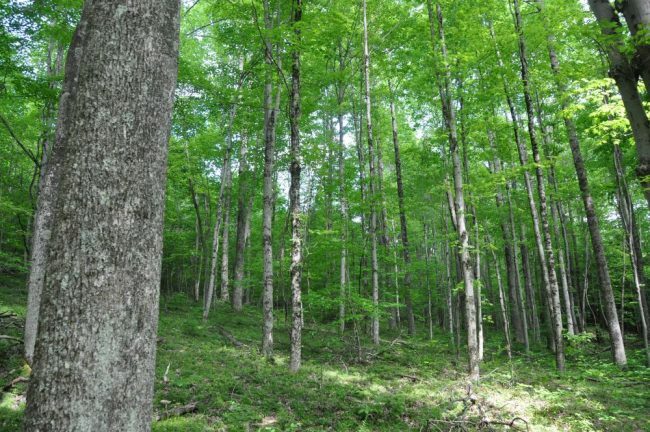 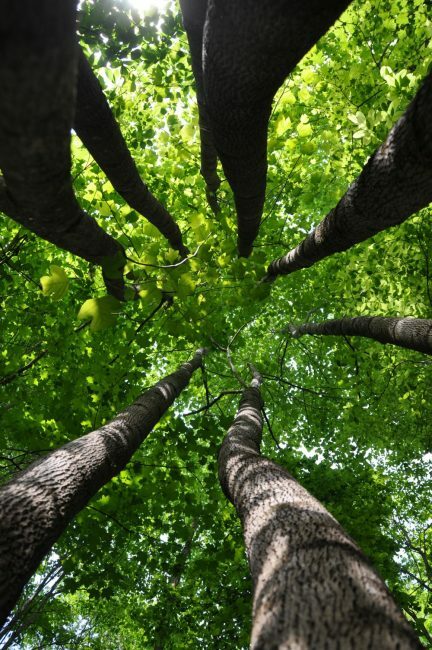 This well managed timber resource can provide a great deal of flexibility to the next ownership in terms of potential harvest revenue and can be managed to provide cash flow opportunities to offset holding cost and long-term asset appreciation. The Colt Ridge Forest timber component has been professionally managed over the years and generally consists of two age classes managed under even-aged silvicultural guidelines. 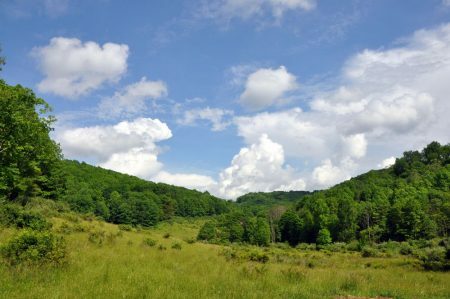 Part of this stand is comprised of long ago abandoned farm fields and old contour mine benches that have naturally been restocked with pioneer species of poplar, locust and hickory. The rest of the stand has been managed for several decades using regeneration harvests under the guidance of professional foresters. 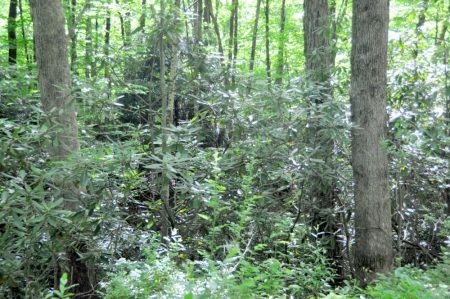 This stand contains 2-35 year old stems ranging in size of 2-12” dbh. This stand is on the cusp of graduating into higher-value sawtimber diameter classes over the next 30 years. 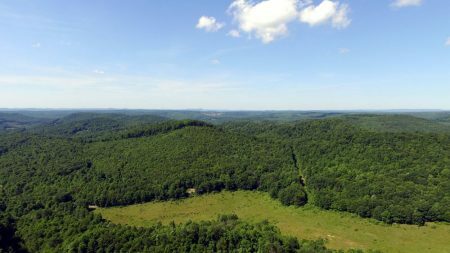 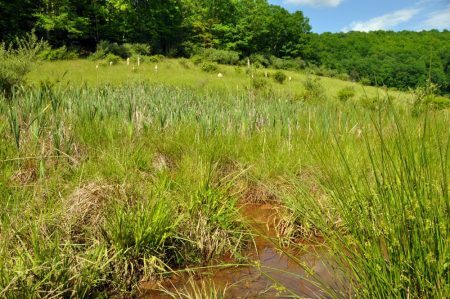 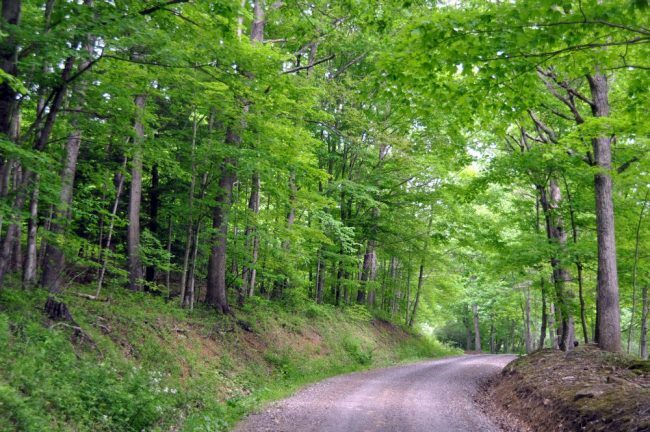 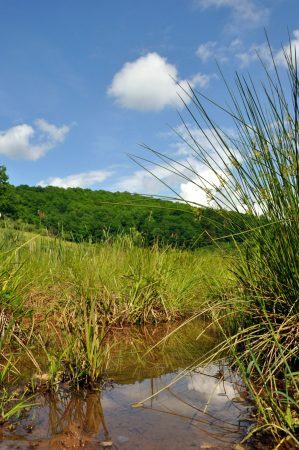 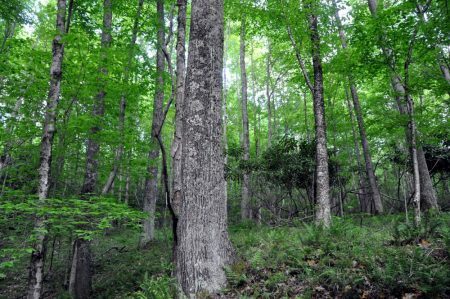 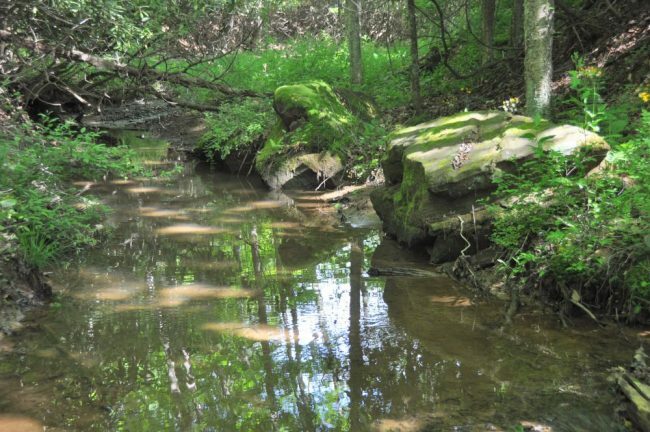 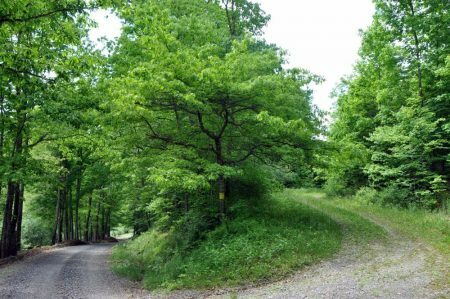 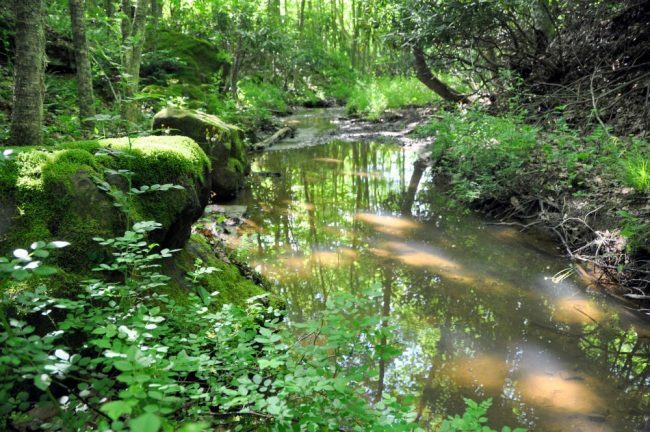 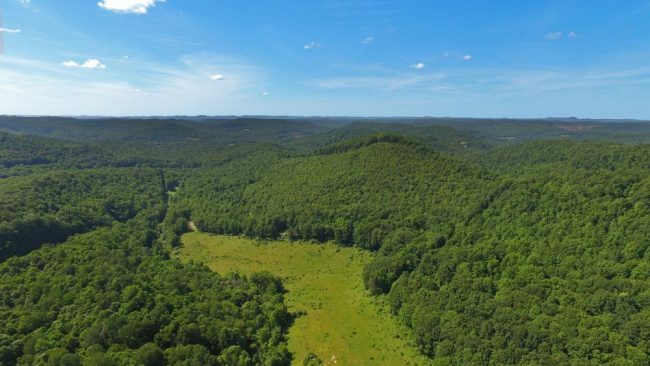 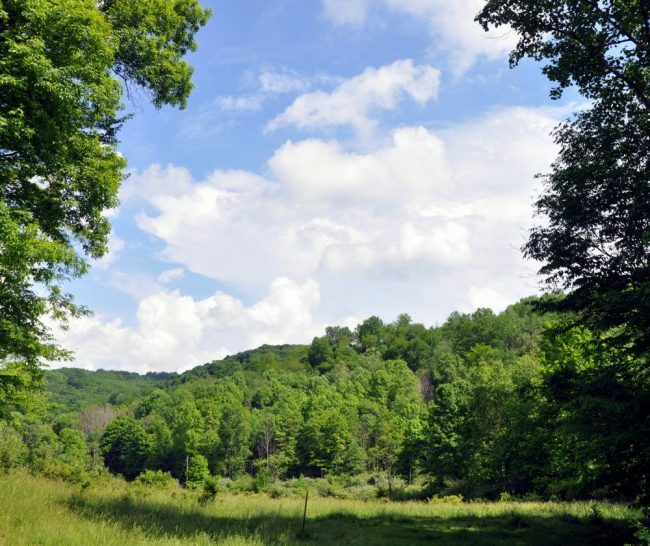 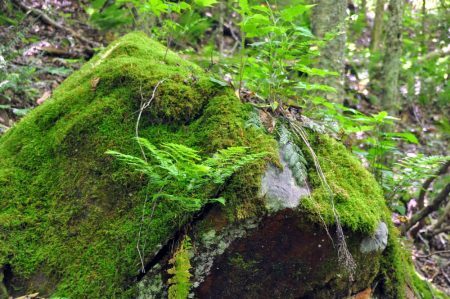 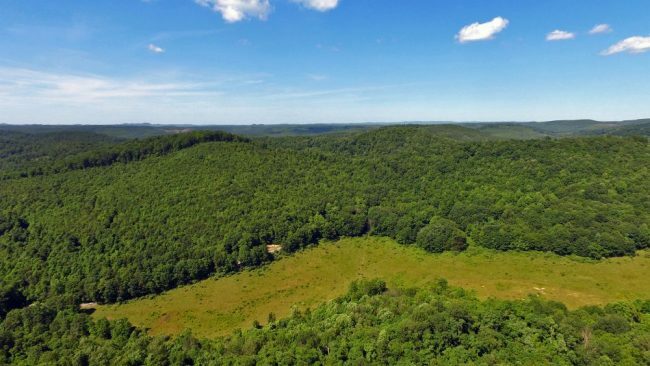 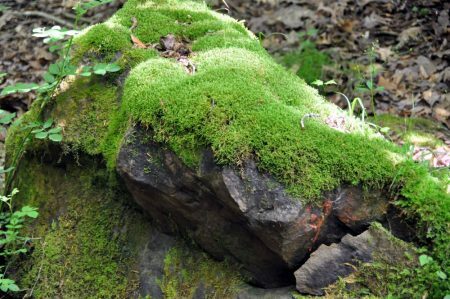 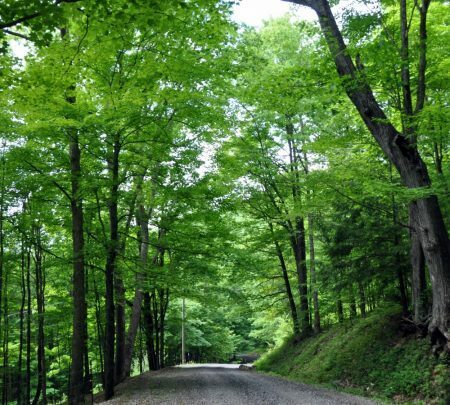 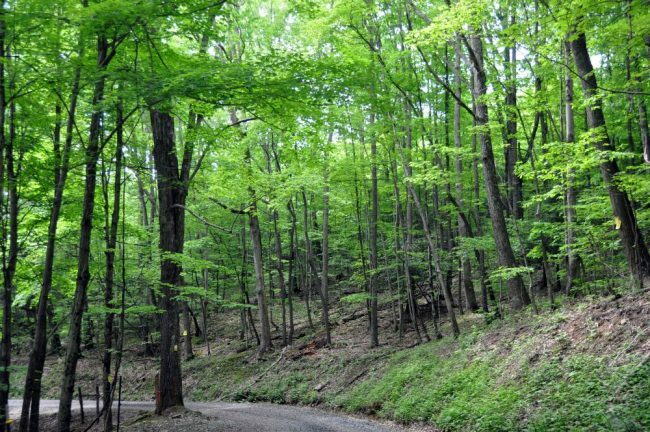 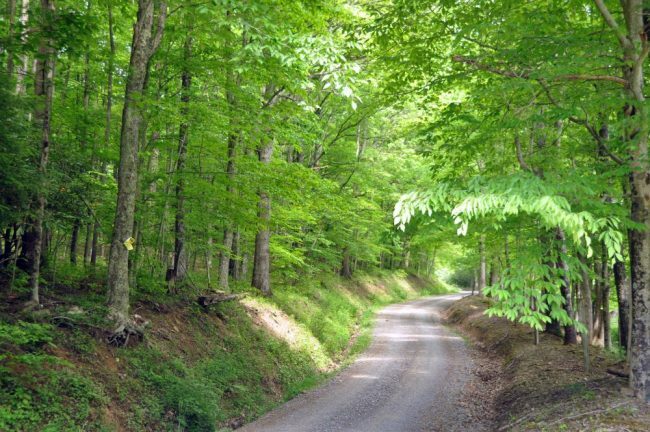 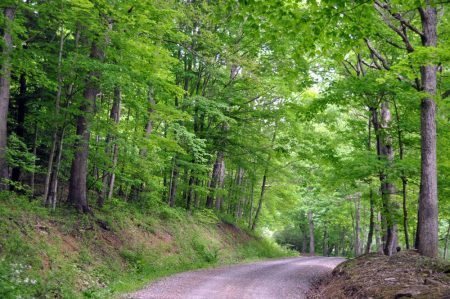 Colt Ridge Forest is as a premier wildlife sanctuary in Nicholas County. Roaring Creek Fork, a blue line stream, runs along the southern side of the large property for over 1/10 mile. 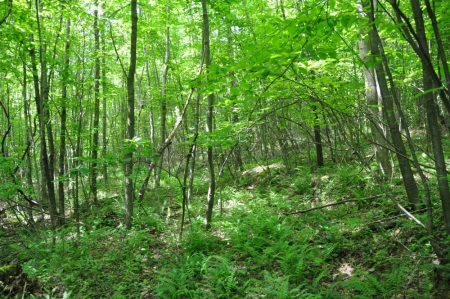 The property has several internal trails that offer access to nearly all of the property. The large tract has about 4/10 mile of frontage on Roaring Run Road RT 13/7. There are about 5 acres of pasture. From the Intersection of RT 39 and US 19 at Summersville; travel RT 39 South 11.3 miles to Nettie; just past Go-Mart, turn right onto RT 20 South; travel 5.8 miles; turn right onto Hominy Falls Road RT 13; travel 1.8 miles; turn left on Roaring Run Road RT 13/7; travel 1.5 miles to be inside the property.